We specialize in custom-sized, low-smoke, and European-style firewood. We have temporarily suspended online orders please call 608-209-9560 for availability and delivery schedule. Thank you! An important announcement regarding firewood availability. We fuel your favorite Madison restaurants. I would like to thank you for the quality of your product and the service that you provide. This would be a better country if we all tried as hard as you do. The wood is exceptionally dry and clean. We look forward to enjoying the fires all winter long. $150 of any of our products. Our mission is to supply you with quality premium woods, full quantities, and timely deliveries. From first acquiring logs to the time your firewood is delivered to you, we work to assure that you enjoy the benefits of wood that is dry, clean, correctly sized, and top quality with full volumes and on-time delivery. We want your fires to start easily and burn magnificently. Madison Firewood Delivery strives to be an easy to deal with and reliable company that works hard to supply all your firewood needs and assure your complete satisfaction. 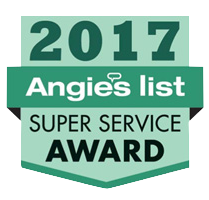 Angie’s List Members Love Us!